What happens if you win Mega Millions’ $1.6B jackpot? 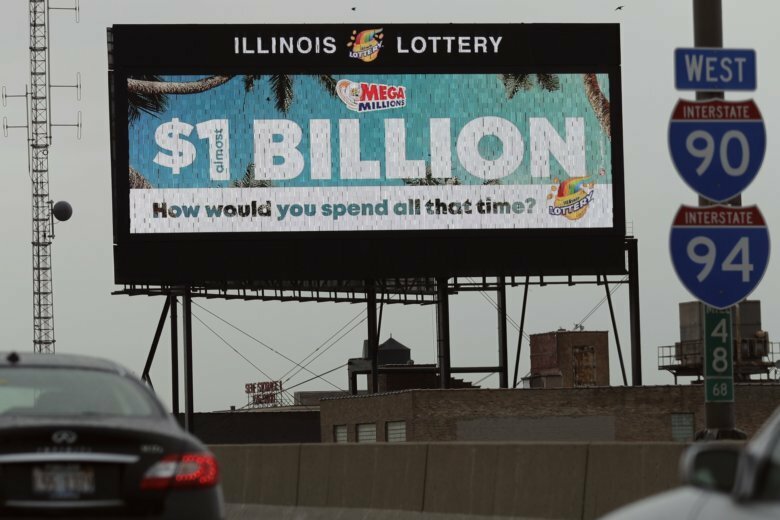 Here are some answers for someone holding that prized lottery ticket for what would be the largest lottery jackpot in U.S. history. DES MOINES, Iowa (AP) — Despite the terrible odds — one in 302.5 million for those keeping score at home — someone will eventually match all six numbers and win the Mega Millions jackpot, which now stands at an estimated $1.6 billion. It could happen as soon as Tuesday night, when the next drawing is held. That would leave most of us disappointed but some lucky winner beset by a host of questions. Here are some answers for someone holding that prized lottery ticket for what would be the largest lottery jackpot in U.S. history. Lottery officials recommend winners take a deep breath, put their winning ticket in a safe spot and consult with a reputable financial planner before popping over to the lottery headquarters. Their first decision is whether to take the cash option, which would be $904 million, or an annuity, with one initial payment and annual installments over 29 years. Nearly all winners opt for cash, but the annuity has advantages, as it reduces the tax bill a little and offers a stable flow of income that climbs by 5 percent annually. Jackpot winners can remain anonymous in eight states — Delaware, Georgia, Kansas, Maryland, North Dakota, Ohio, South Carolina and Texas. In Arizona, people who win more than $600 can keep their names secret for 90 days after claiming prizes, but after that names are public record. In Michigan, winners are anonymous unless they win Mega Millions or Powerball prizes. For winners of $5,000 or more, all states automatically deduct 24 percent in federal taxes, but state taxes vary widely. Some big states, including California, don’t withhold taxes from lottery winnings, and some like Texas don’t have individual income taxes at all. For the others, the state takes a bite, especially in New York, where a winner would need to pay a state tax of 8.8 percent. Residents of New York City would pay an additional tax of 3.9 percent. In general, taxes eat up nearly half of winnings.